Ear infections are common childhood illnesses. Most children resolve their infections with standard medical management, but some children need ear tubes to relieve recurrent infections and improve hearing loss. Numerous ear tube myths exist which cause additional concern for parents. I have previously discussed how ear tubes may be useful to treat chronic ear infections. As a pediatric Ear Nose and Throat (ENT) surgeon, I have found that many of my patients come to my office with a set of predetermined beliefs about ear tubes. Be sure to check out my podcast about what you should (and should not) expect from ear tubes! These ear tube myths lead many parents to avoid a surgical procedure which could be extremely beneficial for their child. It is extremely important for parents to have accurate information before making decisions about their children’s care. Debunking these ear tube myths has become a requirement for nearly all of my discussions about possible placement of ear tubes. It is true that many people will share stories about ear tubes; however, they may not provide the details which explain their experiences. Instead of generalizing about any specific medical treatment, parents must learn to evaluate the pros and cons of each therapy. They most definitely should not base a decision upon the stories of a few people. 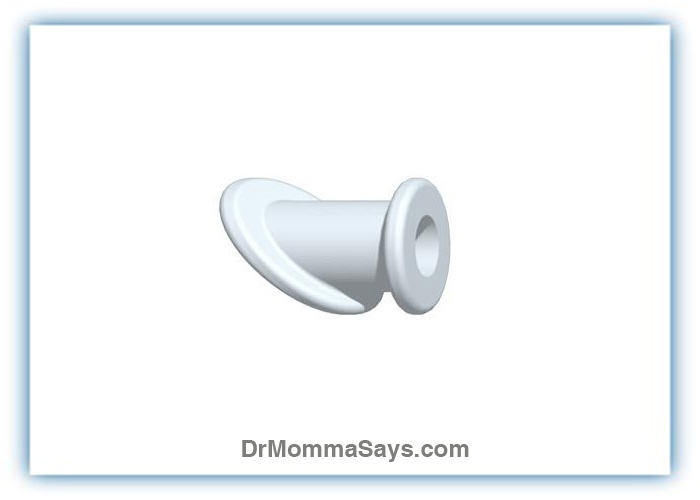 Many parents share the same basic ear tube questions which surgeons frequently need to answer. The field of medicine is backed by science which is tested repeatedly. For instance, tobacco has been proven to cause cancer. It does not cause cancer in every single person; nevertheless, it would be a mistake to say smoking does not cause cancer based on the results of one person! Science proves that there is an extremely high chance of developing cancer if you are a smoker. I do not provide vaccinations in children; however, the evidence that vaccinations save lives is backed by hard science. Anecdotal stories of reactions to vaccines are the same as the stories about reactions to preservatives in foods and cleaning supplies. Any patient could have an unusual reaction; however, there is an extremely low chance of developing severe, disabling reactions to standard pediatric vaccinations. Period. This blog post is designed to highlight the top ear tube myths that I address at nearly all of my new consultations for ear tube surgery. 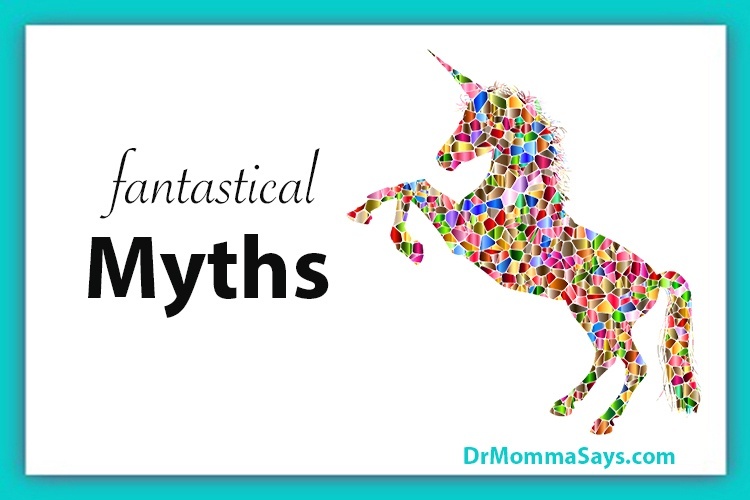 I call these my fantastical 5 ear tube myths because it seems that every parent comes in with these beliefs. They sure must have some fantastical powers in order to convince everyone that they are true! Parents equipped with proper information make better healthcare decisions for their children. Myths often lead to false hope or severe anxiety. The truth always lies somewhere in the middle. “My friend told me that ear tubes will stop ear infections from happening”. –Nope. Tubes are placed to “bypass” the immature eustachian tube allowing air to enter the eardrum, and fluid to drain from the space behind the eardrum into the ear canal. The tubes make ear infections easier to treat by using ear drops instead of oral antibiotics; however, infections may continue to happen. The underlying cause of ear infections will still need to be addressed. Remember some techniques to reduce the number of ear infections in your child. In fact, 80% of children who have ear tubes placed never need them again. These children outgrow the infections as their eustachian tubes and immune systems mature. The children who need a 2nd or 3rd set of ear tubes typically show signs of allergies, sinus infections, or enlarged adenoids. Another group of children who often require multiple sets of tubes include those with structural changes in the face (such as cleft palate) or persistent muscle weakness / delayed development (Down Syndrome). All tubes are designed to be temporary and simply buy time for a child’s immune system and eustachian tubes to mature. This happens at different rates for different kids. A small percentage will need a 3rd set of tubes. These children usually demonstrate more severe episodes of allergies, sinus or structural changes which continue to impact the eustachian tube. At this time, a T” tube (shaped like a capital T) is often inserted because this type is designed to remain in the eardrum for 3-5 years. But again….all tubes are temporary. Ear tubes are placed directly into the eardrum. The eardrum cannot be reached with the tip of the finger. Ear tubes do not hurt and do not encourage children to play with their ears more often. If your child’s ears continue to bother them after surgery, discuss these concerns with your ENT surgeon. Many different problems can lead to ear pain, which is often called “referred pain”. Referred pain means pain felt in one part of the body is actually due to a problem in another area. Children are able to resume normal activity 24 hours after surgery. This activity includes running, jumping, and contact sports which will not dislodge the tubes. Now, this represents the most controversial myth. My initial medical training included the understanding that it was important to keep water out of the ears. I used to spend a large amount of time prescribing ear plugs and headbands and even made very pretty custom ear plugs for older children! However, as research has repeatedly shown, water in the ears does not lead to more ear infections. Yes, there are many reports on the internet that specify kids can swim in one type of water (clean chlorinated pool water ) but not other types of water (dirty lakes, rivers, and oceans). These beliefs have simply not been shown to be true. You should always follow the advice provided by your child’s physician because treatment plans are created specifically for each child. However, the Academy of Otolaryngology-Head and Neck surgery issued the position statement indicating that they do not recommend routine water precautions after ear tubes. The Academy of Otolaryngology is the governing body for all Otolaryngologists (ENT surgeons), but each physician adopts recommendations based on their clinical judgment. Unless your child specifically shows that extra precautions are needed, ROUTINE USE OF EAR PLUGS IS NO LONGER REQUIRED OR RECOMMENDED FOR SWIMMING WHILE EAR TUBES ARE IN PLACE. If your child’s physician has recommended earplugs, please ask them for their reasoning as there may be a particular reason your child has been recommended this care plan. Of course, there are plenty of other concerns parents voice about ear tube surgery. These ear tube myths simply highlight the concerns that the vast majority of parents share. For additional information, I have also shared the 10 of the most common questions asked about ear tubes as well as undesirable ear tube complications which can be avoided by close monitoring of the tubes. My child 6 years old is on her 8th set of tubes, just got the today after two months since the last set. How many more are we going to have to go through before it stops? Her twin only jas had 6 sets and my son only had 1 set. As a mom its frustrating that my kiddo is always in discomfort with her ears. Hi Crystal. I’m sorry you and your kiddos have endured so many ear tubes! I’m thankful I read your comment though, because my son is about to endure his 4th set next Friday. I just can’t imagine having eight sets?!? Do you know how bad the scarring might be? Did Dr. B. respond to your post? I wish you and your family well. I’m sorry I missed this comment and really am sad to hear about all the ear trouble of your kids! I have practiced for 30 years but have not seen a situation you have described unless the child had a cleft palate or other structural reason for the Eustachian tube to not work. I would not know where to begin understanding this situation because tubes are always meant to be temporary! There must be ongoing work ups to find out the cause of the chronic nasal inflammation! Well, YOU ARE RIGHT Dr. B. My son did have a cleft pallet (soft tissue only). I’m wondering how many ear tubes is too many before considering full replacement of the ear drum with a permanent tube placed… or the possibility of correcting the blockage in the Eustachian tube (stint or balloon procedure). Of course I’ll be asking the ENT-otolaryngologist the same, but it sure gives me a sense of relief getting second opinions. I know it’s case specific, but a general understanding of what’s typical or possible helps. Your child is still young and growing so there is still a good chance the eustachian tube functioning may become normal. It just takes longer! Your ENT will indeed give you more information but it is rare to rebuild an eardrum without there being a large perforation of other permanent damage. AND please understand there is no such thing as a permanent ear tube! All tubes are temporary, but some are designed to last 3-5 years. The balloon dilation is a good procedure for people who have a tube that is too narrow, but your child has a structural issue where the muscles from the soft palate are not adequately opening and closing the tube. Ear tubes are currently the best option to buy time, and close monitoring by your surgeon will help to keep you informed about progress.